Imagine driving up to a coffee shop, getting you’re morning fix and blasting your favourite jam when all of a sudden the worker breaks it down like it’s hot! 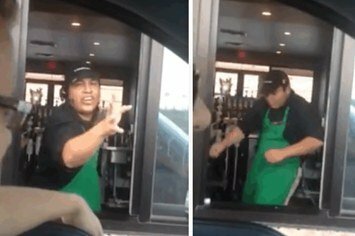 This Starbucks worker went from making a guy's iced coffee to totally making us want to jump up and jam with him. If this doesn't get you in the weekend mood then nothing will!